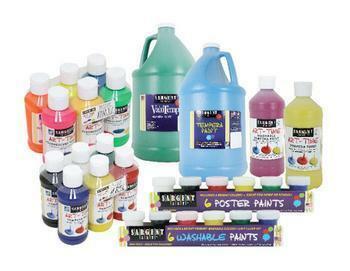 Sargent Art of Hazleton, Pa., is recalling about 2.8 million units of tempera and finger paints sold in the U.S. and Canada. The paints, manufactured in the U.S., were sold at Hobby Lobby, Walmart and other stores nationwide and online at Amazon.com and ShopSargentArt.com from May 2015, to June 2016, for between $1 and $8. Consumers may contact Sargent Art at 800-827-8081 from 9 a.m. to 5 p.m. (ET) and Monday through Friday, or online at www.sargentart.com and click on “Recall” for more information.